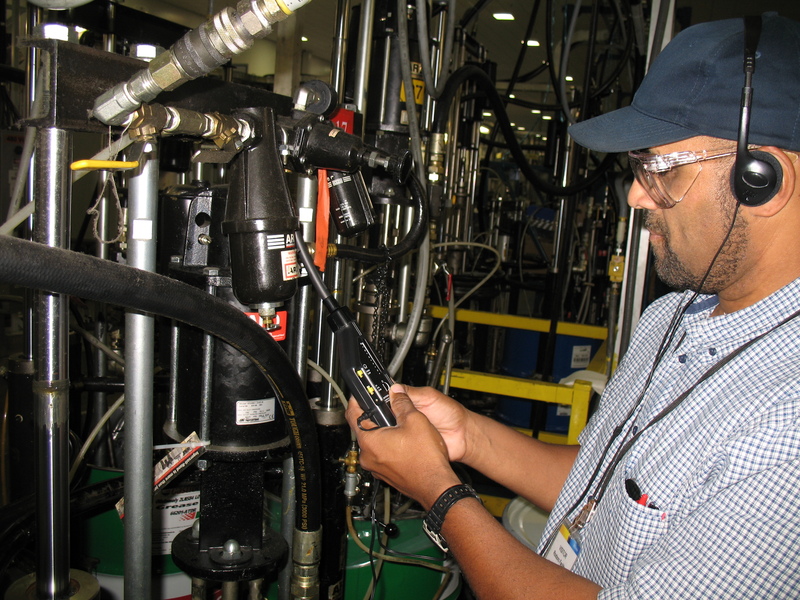 During a compressed air leak assessment, components of the compressed air system will evaluated to identify leaks. Each leak identified will be photographed and tagged for further review/repair by facility maintenance. An ultrasonic leak detector will be used to identify ultrasonic sound waves produced by air leaks. The detector then emits an audible tone which can be heard by the human ear. Why target compressed air leaks? Air leak management is the single most cost effective measure you can take in a compressed air system in order to save energy and capital. Often future capital expenditures for new compressors can be delayed or eliminated by enhancing efforts in the area of air leak management. A straightforward approach is to initiate a 3 step leak program consisting of: locate, tag and repair. 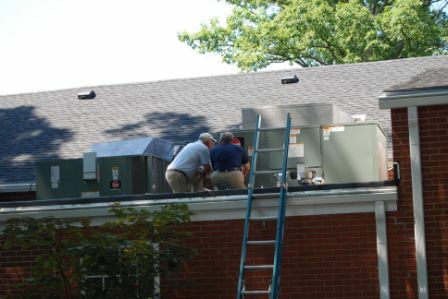 Air leaks represent loss revenue and increased energy usage every day, hour or minute that the system is in operation. Most leaks can be found around quick connections, hoses, condensate traps, regulators, couplings and fittings. Several other components of the compressed air system which should also be evaluated for leaks are valves, flanges and point of use pneumatic tools. It is not uncommon to have an air loss rate equaling 20-30% of the compressor's output. Air leaks are measured in cubic feet per minute, but the greater issue is increased energy cost. If a system operates at 125psig for 6000 hours/year and 20 small leaks are reparied there is the potential for an annual energy savings of $8,327. During the assessment, a team of environmental professionals will review energy usage within a facility's operation and identify low-cost and no-cost opportunities for energy efficiency in areas such as lighting, compressed air, HVAC and workplace work habits. Following the visit, the team will research technologies and best management practices specific to your operation. A summary report will be provided to outline potential options for cost savings and environmental improvements. To request an assessment, please contact Ron Pridgeon at (919) 707-8143 or (877) 623-6748. DEACS Energy Efficiency: A website for commercial and residential information. NC Project Green: A website for public facilites. During a water efficiency assessment, a team of environmental professionals will focus on determination of overall water usage and evaluate water efficiency opportunities within operations such as product rinsing, process cooling, cleanup activities and landscape irrigation. DEACS Water Efficiency: A website for commercial and residential information. DENR's Water Efficiency Manual : A manual for Commercial, Industrial and Institutional Facilities. During a solid waste assessment, a team of environmental professionals will conduct a waste characterization to assess types and volumes of solid wastes generated as by-products from manufacturing and processing operations. After this review, waste materials can be targeted and prioritized for options such as source reduction, reuse and recycling. NC Waste Trader: An exchange service to divert recoverable materials from disposal. 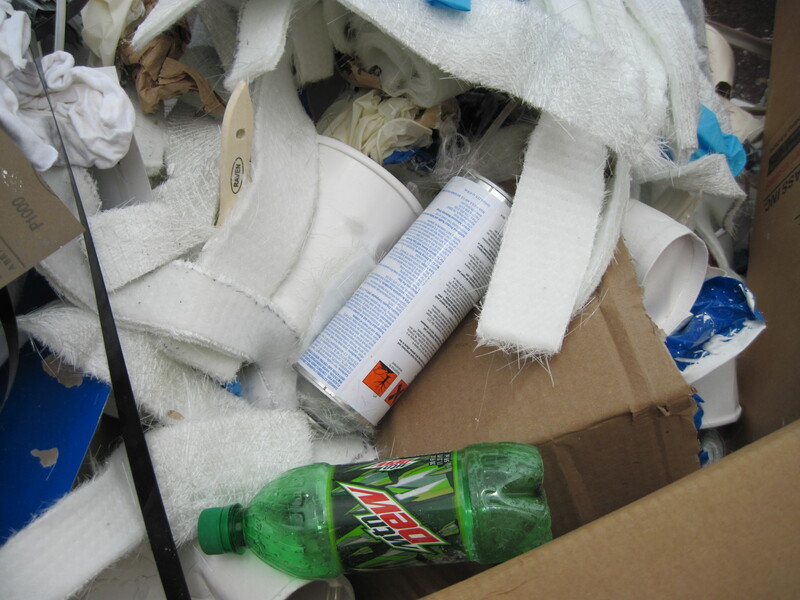 Recycling Markets Directory: A tool for finding an outlet for recyclable materials.